Numerology is an ancient science and tradition that can be applied to modern day dilemmas to reveal answers to every day situations as well as long standing predicaments. The Greek philosophers and mathematicians Pythagoras, Plato and Aristotle paved the way for other great minds who were inspired to understand the inner philosophical meaning of numbers. This study eventually became known as numerology. Jan uses a method of numerology that she acquired through a Swiss numerologist whom she met during the mid 1980’s. Although she has continued to use numerology over many years with her clients, she does not in any way regard herself as a numerologist. She simply uses a specific method to determine the balance of energy through the body, mind and emotions and how it may affect our health, habits, desires and tendencies in our everyday life. Knowing your innate patterns can help you to understand what makes you feel off balance or in sync with your own needs and which gifts you could use to maximise your potential and experience a more fulfilling life. Jan has helped many couples to see areas of compatibility and how to bring balance into their relationships by each sharing their own unique strengths with the other. Thus both partners can benefit and learn from their complementary qualities and realise their full potential. It is also a useful way for parents to understand the natural tendencies of children and why siblings behave differently from a numerological perspective. In this way, children can also be guided towards interests that will help them to feel more centred, grounded and happy. Numerology is much more than a mere character analysis, although it can indicate certain inclinations, gifts and abilities. The Pythagorean philosophy was that life can be expressed as numbers and that numbers were symbolic of the various frequencies. The concept that all life has a “force” or vibration still continues to this day within vibrational health and healing. The origins of numerology developed from the study of the great cosmic cycles and belief that to understand these was to live in harmony with them. Thus there is a sense of inner peace due to the synchronicity and peace with the world within as well as around us. Each letter of the alphabet corresponds to a number and so the total value of the letters in the name and the sum of the numbers in the birth date provides an interrelation of vibrations indicating the life path. If you would like to have a more detailed Numerology analysis, please contact Jan for details of referral to a specialist in this field. Although it is possible to draw up a more detailed chart through the name numerology, Jan prefers to use the birthdate for a snapshot into her client’s potential, to help provide further information when they are at a cross roads or point of soul searching. 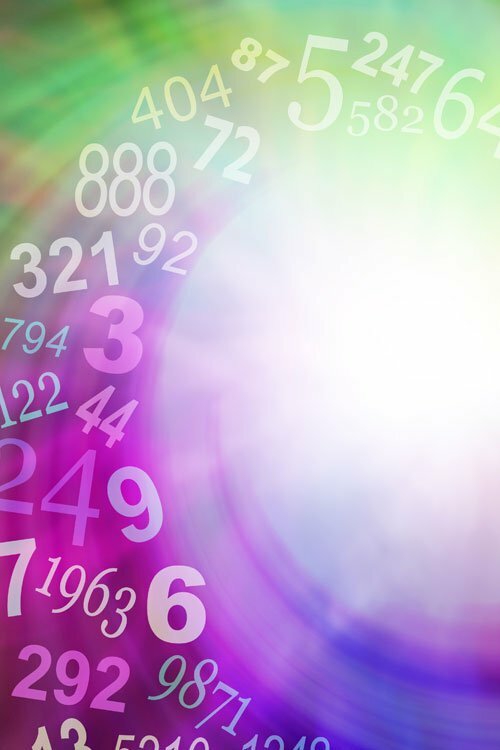 Numerology is generally used as part of a colour therapy consultation to indicate the natural tendencies from birth, or with personalised yoga sessions to determine which postures and sequences would be the most helpful on an energetic frequency level. I found the numerology session with Jan so interesting and the level of accuracy it had in my life was fascinating. She guides you through the experience with a natural grace and sincerity that really highlights her talent in this art form. The session leaves you feeling much more in touch with your true self and aligned with your ultimate life path.